descriptionFeatures square toe design for optimal comfort with rocker bottom to promote natural gait and help reduce plantar pressure. 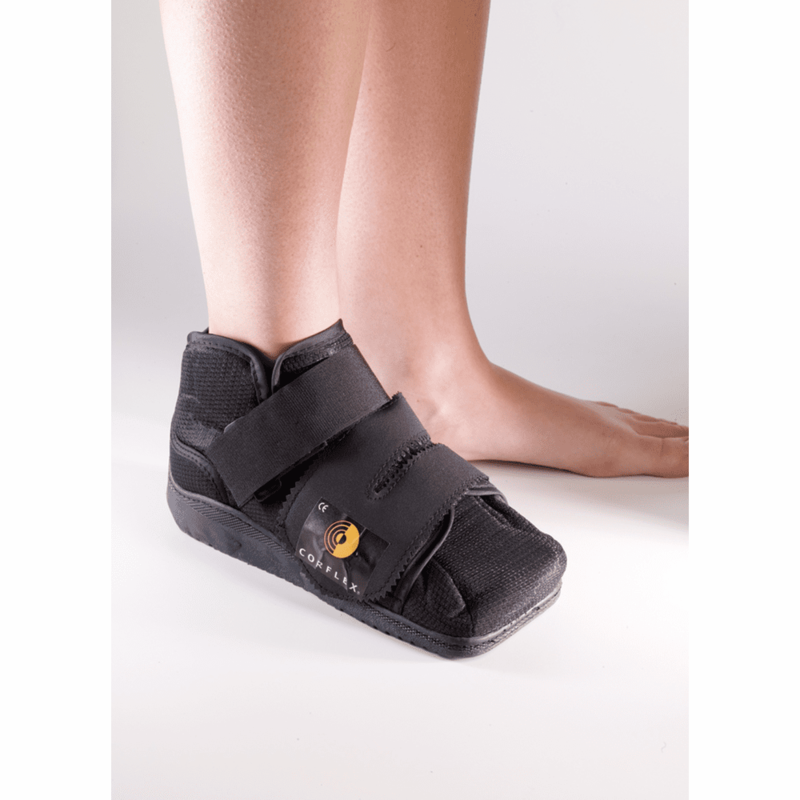 Ideal for post-op use; provides closed toe protection that allows dressing to be kept clean and toes dry. Constructed of EVA insole with tricot foam upper and contact closure.